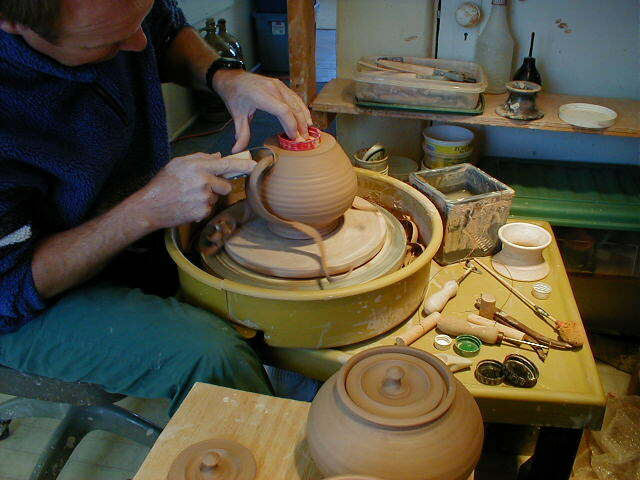 Teapots truly show off the craft of the potter. 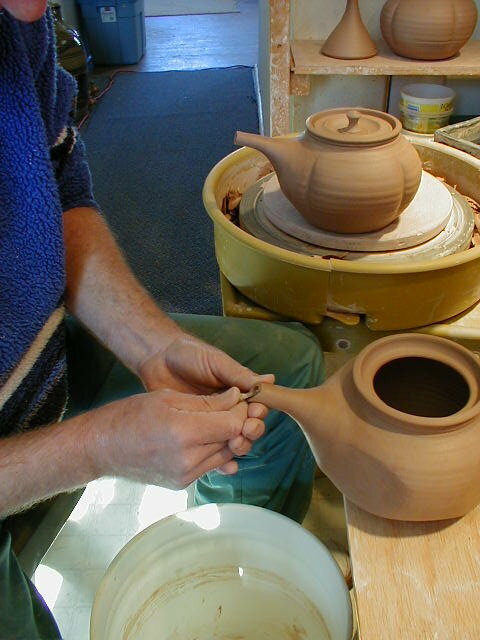 Making teapots requires much technique, skill and patience -- especially if you want a teapot that works properly! 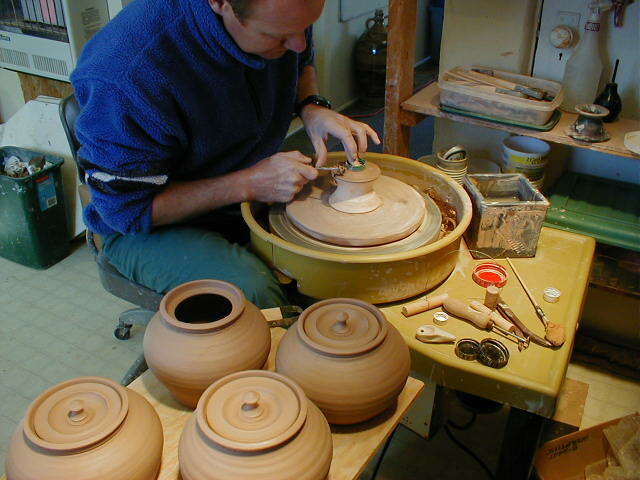 First the body of the teapot is thrown and a "gallery" is created for the lid to sit in. 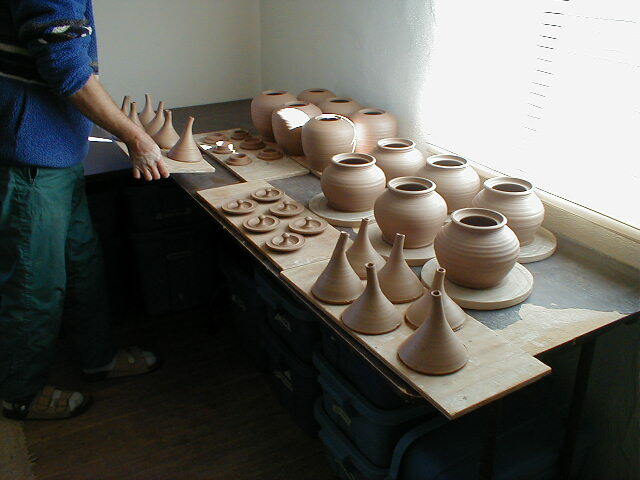 Then the parts are thrown and left to dry to a leather hard consistency. The lid is trimmed for a perfect fit. 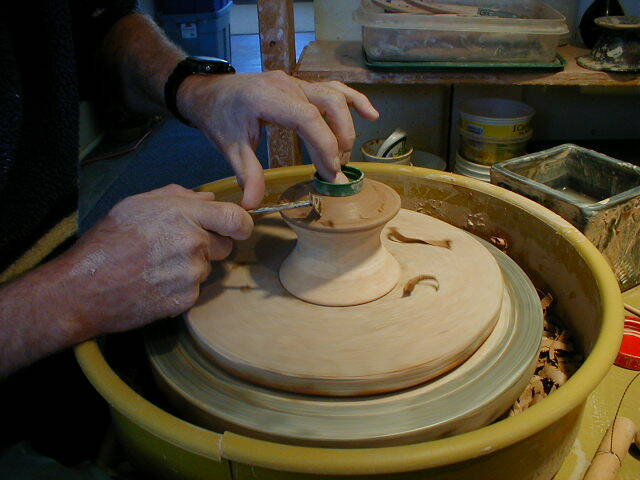 The body is trimmed neatly with a clean beveled edge. 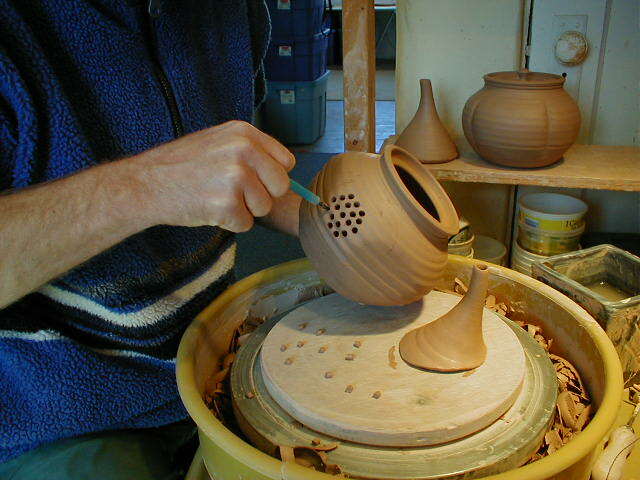 Holes are made for a built-in strainer. 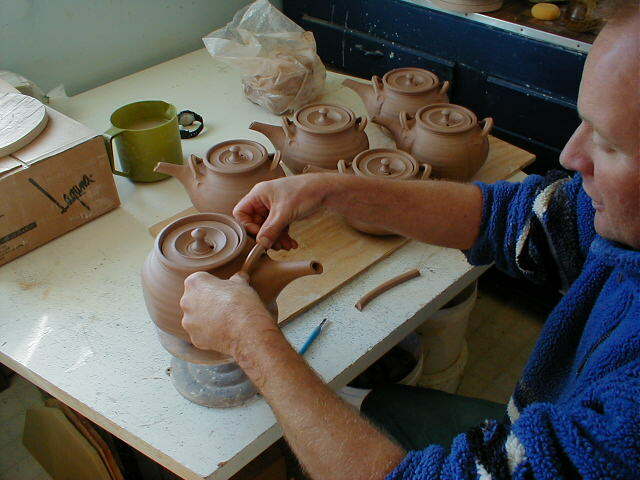 The base of the spout is cut at an angle and attached to the teapot body. 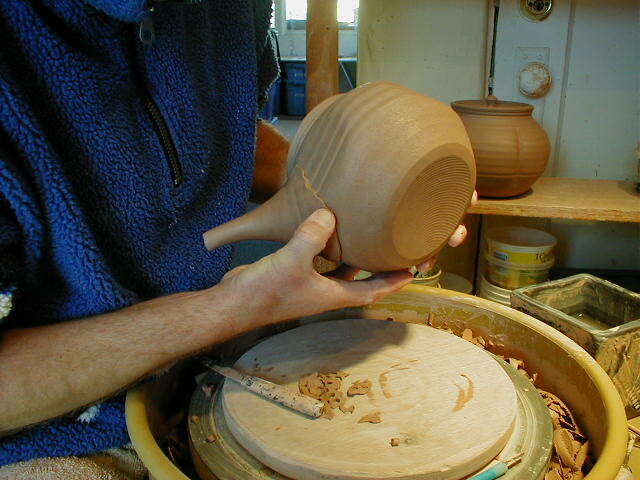 The tip of the spout is cut at just the right angle for perfect pouring. Lugs for a cane handle are pulled (never extruded!) 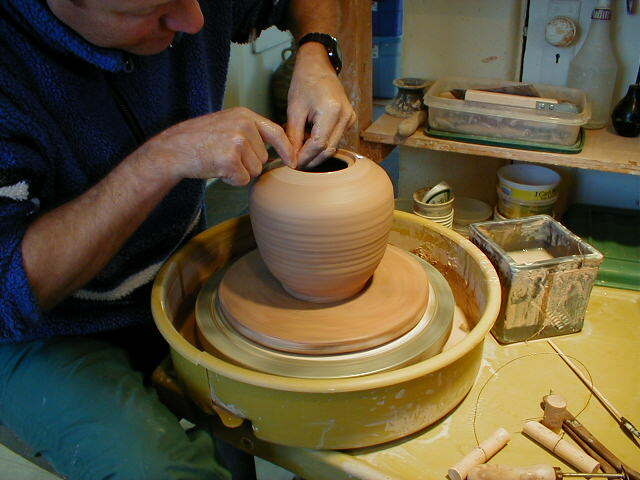 and attached to the teapot body. 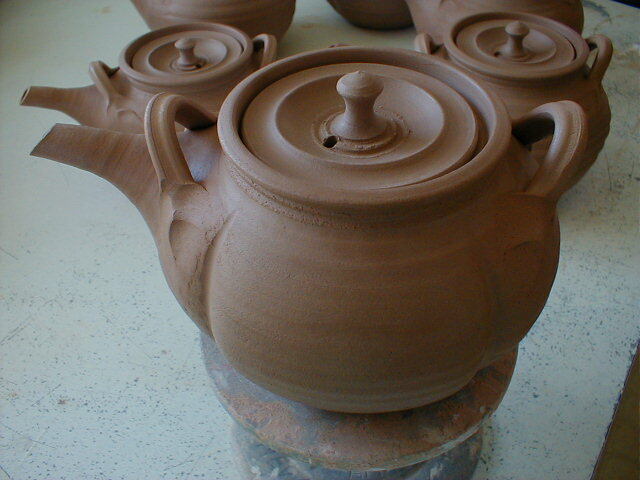 The teapot is ready for bisquing!